What a grace filled week I have experienced. Words fail to describe the greatness of the Lord to me this week. I feel that I can only echo the Psalmist: “How can I repay the Lord for his goodness to me? The cup of salvation I will raise; I will call on the Lord’s name” (Psalm 116:12-13). 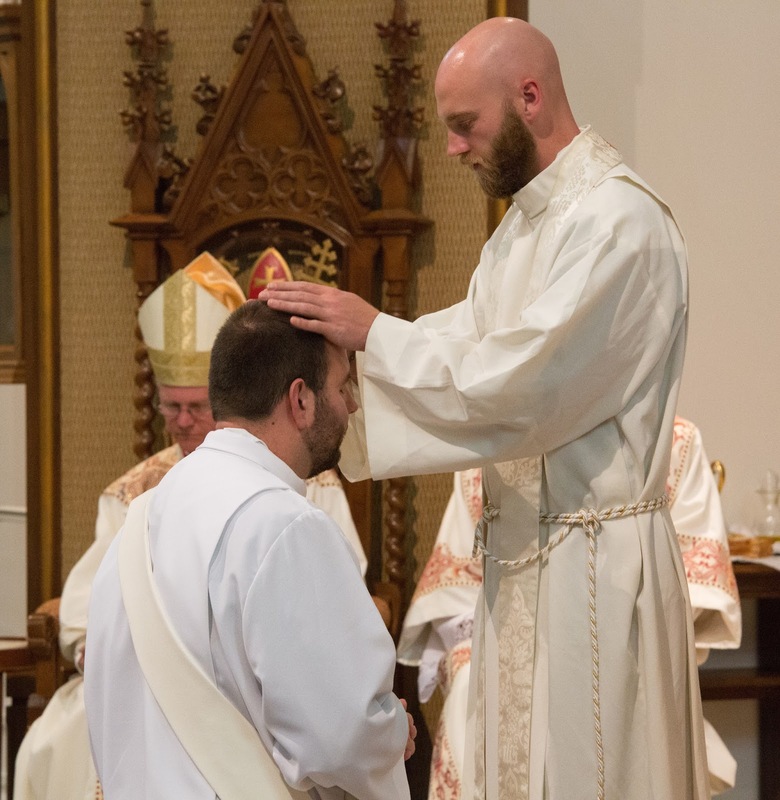 On Friday, May 20, I was ordained to the priesthood of Jesus Christ. I am still processing the reality that is now my whole life and vocation. 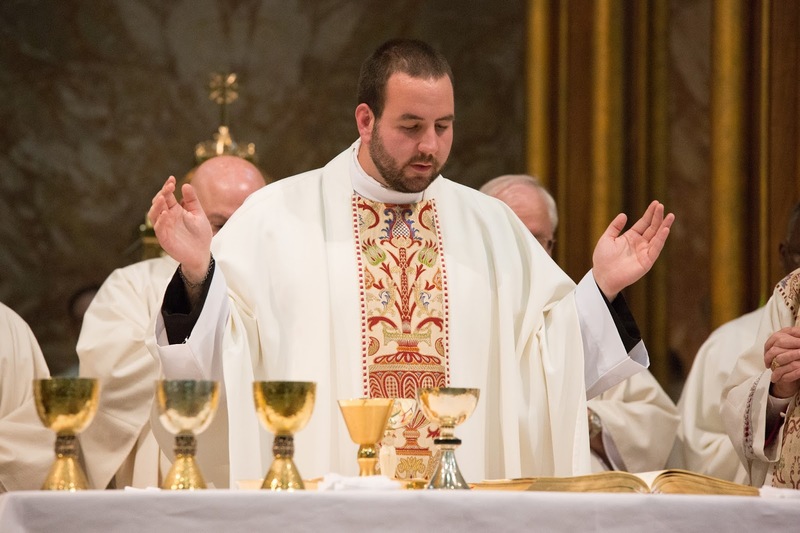 I am incredibly grateful to God for His goodness and grace in my life and I am grateful to all of my family and friends throughout my entire journey who have helped me along this path to my priestly ordination. I could not have done God’s will for me without your prayers along the way. What a grace to be part of such a great family as the Body of Christ! 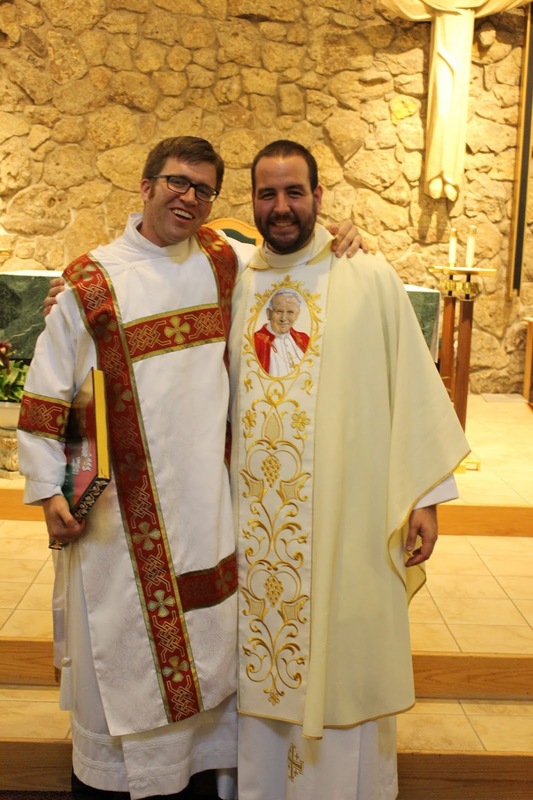 Reflecting on my ordination, I wanted to share some reflection points and memories from the ordination weekend. 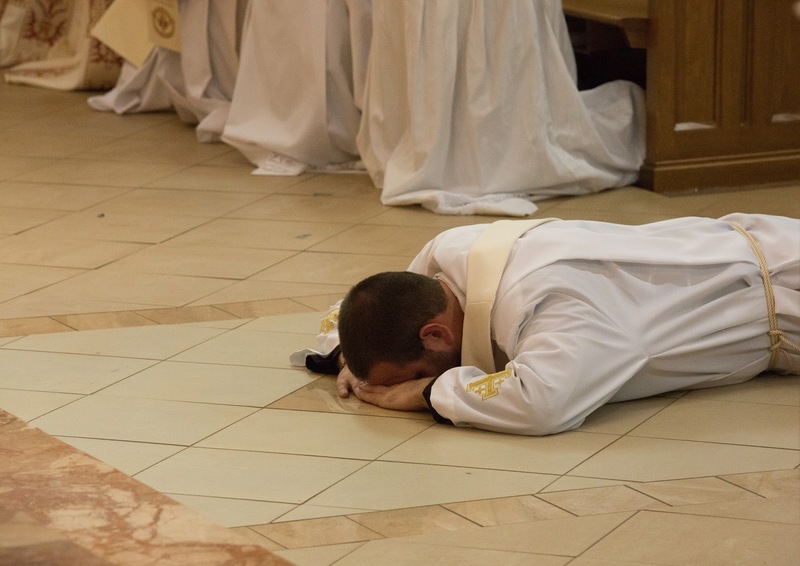 During the Rite of Ordination of deacons and priests, part of the rite invokes the intercession of the saints (the Litany of Saints) and the candidate for ordination lays prostrate on the floor while he and the whole congregation pray to the saints for their intercession. 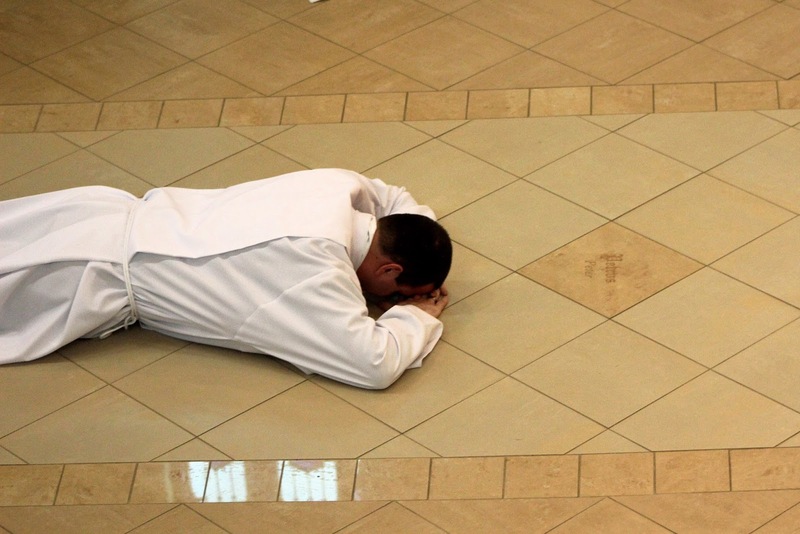 During my priestly ordination, as I lay prostrate on the floor of the Cathedral, I had a good look at the name of St. Peter engraved into the floor as my nose was pressed against his name. I couldn’t help but marvel at the providence of being reminded of St. Peter’s ministry as the first of the Apostles as I lay there praying for his intercession, particularly. 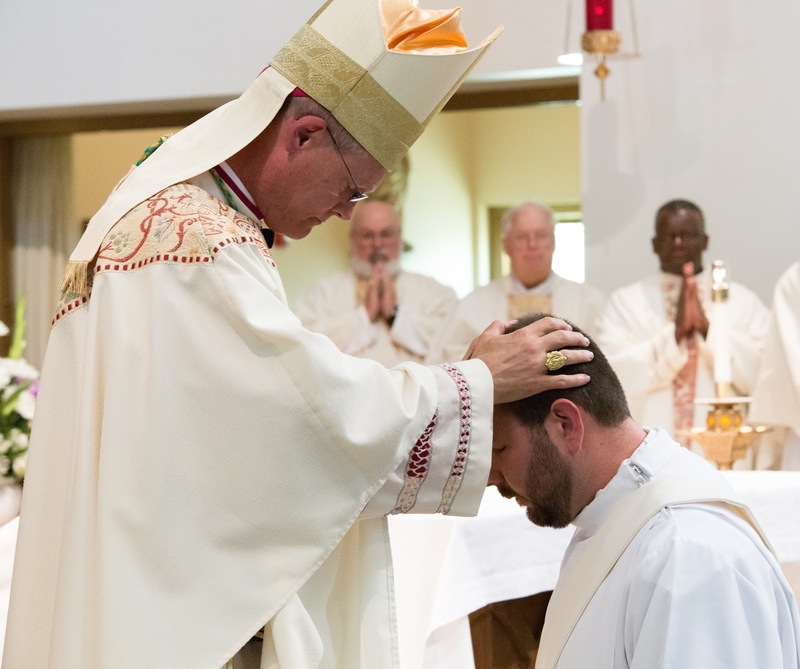 In my diaconate ordination I didn’t have the same view since I was farther back on the floor. Litany of Saints at my Diaconate Ordination. Litany of Saints at my Priestly Ordination. 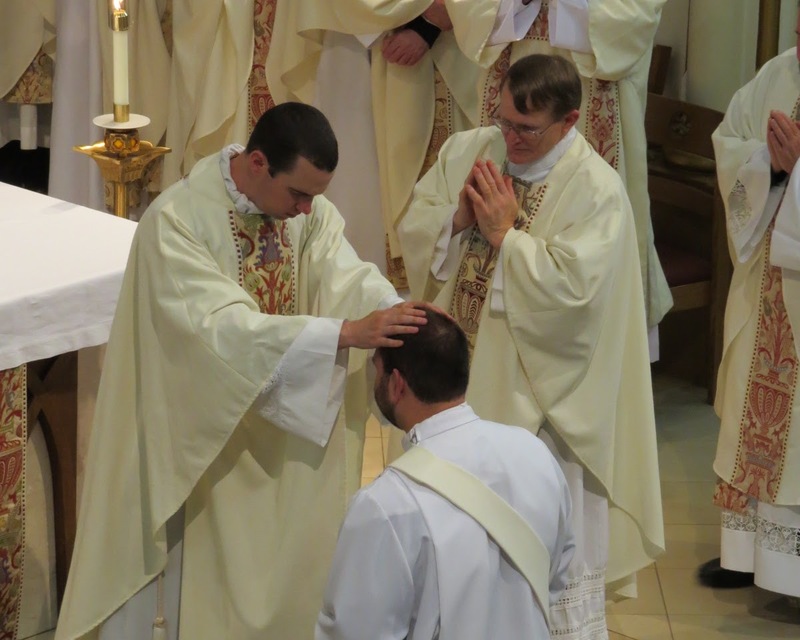 The laying on of hands and the prayer of consecration was the moment in which I was ordained a priest. 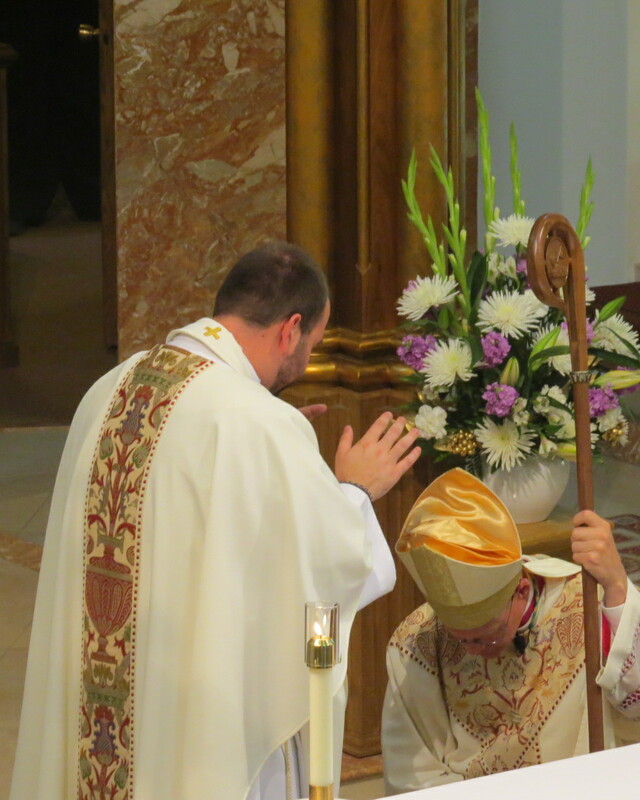 The bishop, as a direct successor of the Apostles, laid his hands on me and through his prayer and power given to him as Bishop, I was ontologically changed and became a priest of Jesus Christ. As a sign of fraternity with my fellow priests, whom I was joining within the rank of presbyter, they, also, laid hands on me. 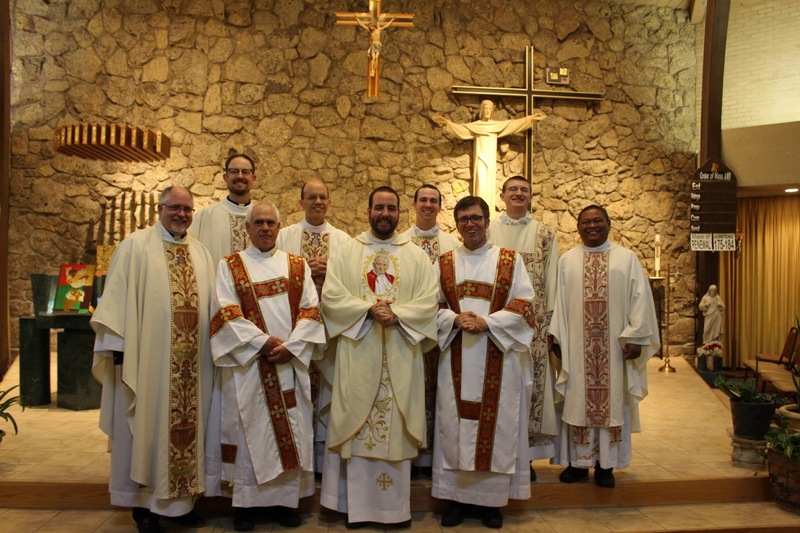 This included many of the priests of the Diocese of Cheyenne, but also priest friends who were here from other dioceses. Bishop Paul D. Etienne laying hands on me. My hands were also anointed using oil called the Sacred Chrism as a sign of consecration and of the change that has been effected in my soul. 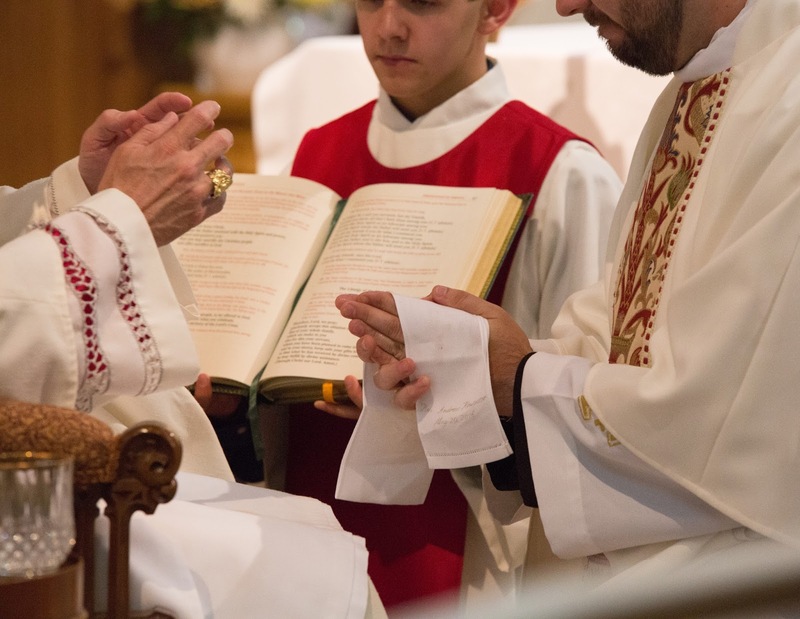 My hands can now confect the Eucharist and as such are consecrated (“set apart”) for this Sacred work. After my hands were anointed, a linen called a manitergium was draped over them to collect the Sacred Chrism. This linen is traditionally given the mother of the new priest to be buried with her signifying that she had given her son to be a priest. I gave the manitergium to my mother at my first Mass of thanksgiving in Gillette on May 21. Another friend pointed out to me that my hands were anointed precisely at 3:00pm, the hour of Divine Mercy! I do not doubt that it was providential, for through my own priestly ministry I will reveal His Divine Mercy to those whom I minister. The manitergium draped over my consecrated hands. 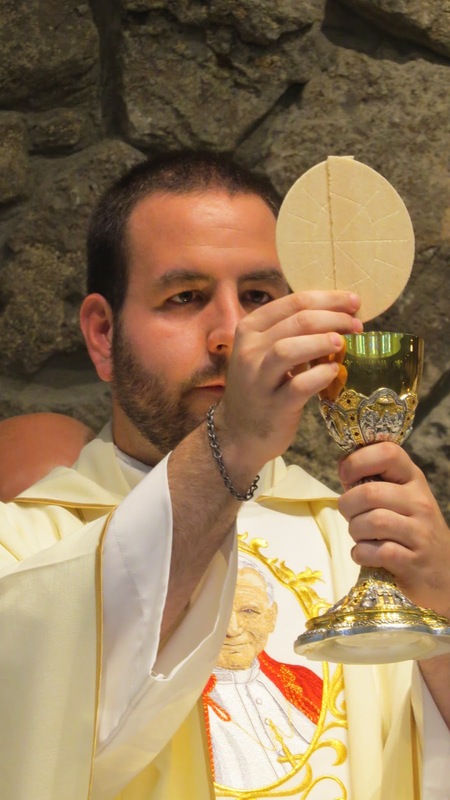 After the ordination rite, I joined my brother priests in the sanctuary to con-celebrate the Mass and I was able to take part of the Eucharistic Prayer and confect the Eucharist. Bishop Paul receiving my priestly blessing immediately after Mass. 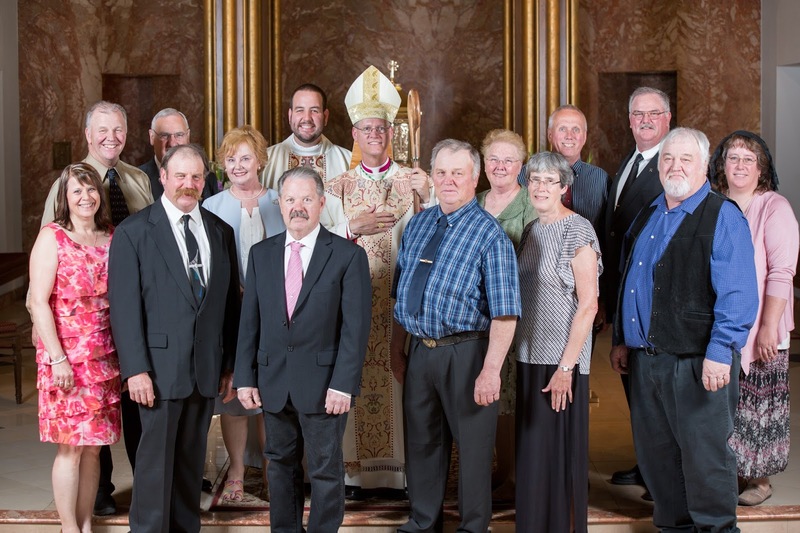 After Mass there were many formal pictures taken with joy and celebration for me and my family and the entire Diocese of Cheyenne. I found my way into the reception where I was able to give a priestly blessing to all those who desired it. Many of my family and friends came through and it was a true joy to share this ministry and grace with them. 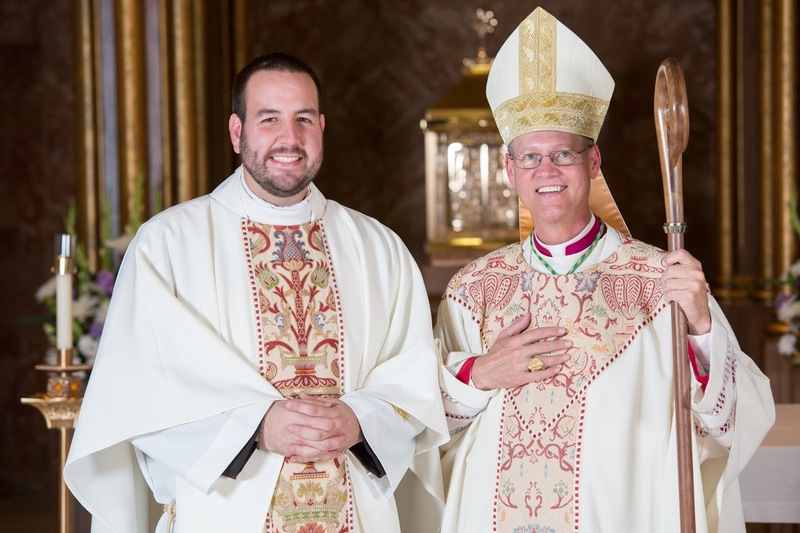 The Bishop and I, the newly ordained priest! 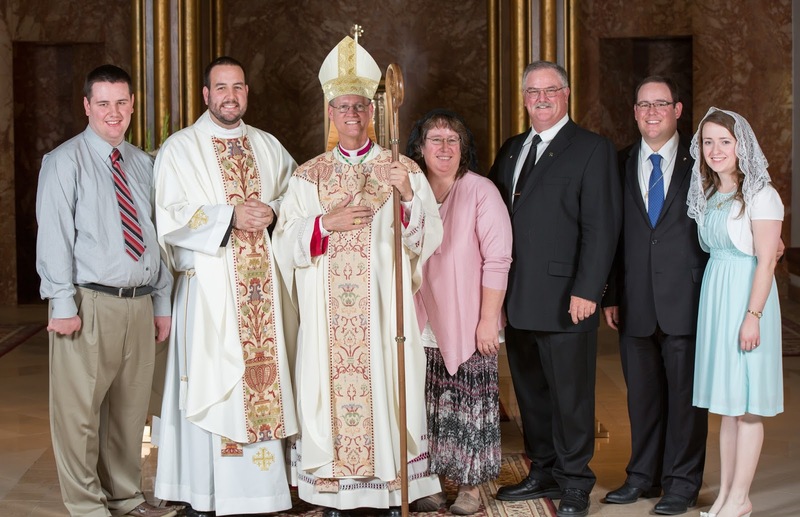 My immediate family with the Bishop. My extended family with the Bishop. My good friend, Fr. Brian Hess. 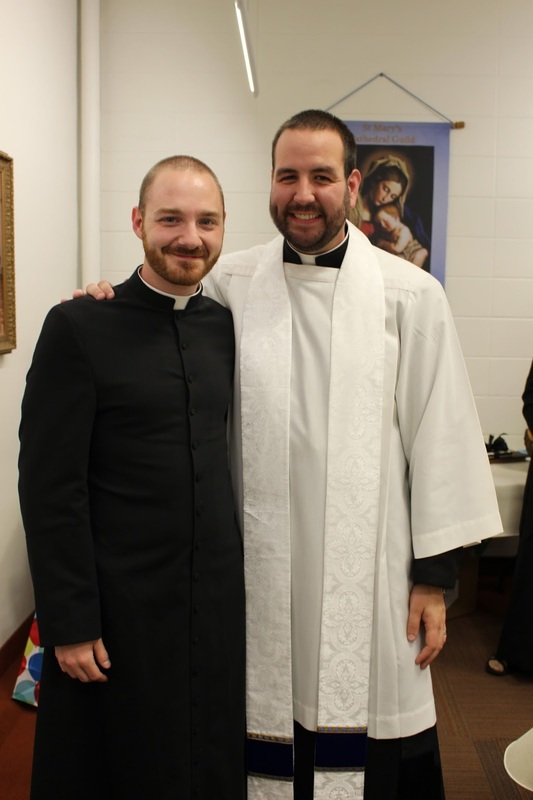 My classmate and good friend, Fr. Mason Fraley (Archdiocese of Denver). 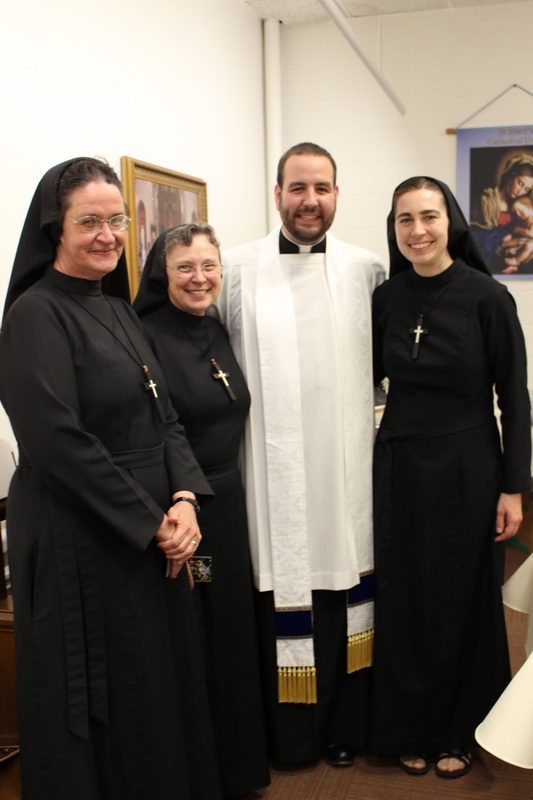 The Religious Sisters of Mercy from Denver. The clergy at my first Mass of Thanksgiving at St. Matthew’s in Gillette, WY. 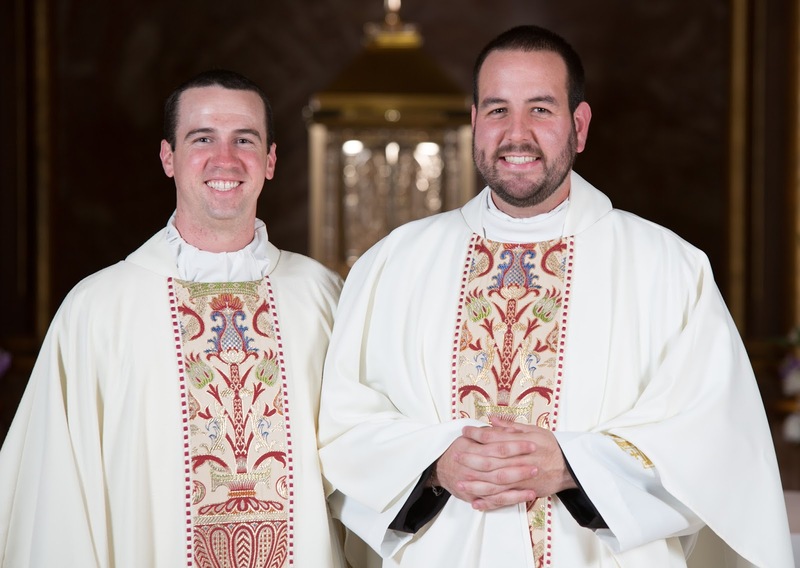 (Archdiocese of Oklahoma City) who will be ordained a priest in June. For more pictures, feel free to check them out here, courtesy of Matthew Potter.